Spring. It’s a time for an awakening of both the spirit and the world around us. It is a time for deep thought, but also for rituals. Last week while preparing for my family Seder, the traditional service and meal that Jews share on the first two nights of Passover, I made a deep connection with my family’s history and my beloved work. Most families have their own traditions when it comes to holidays and mine is no different. My crowd-pleaser is my matzah ball soup. It’s my mother’s recipe, and it’s the same every year. While preparing it, I began to think about the controversies that surround this humble dish. And that is when it dawned on me. In my life, most things that happen can be a metaphor for the Feldenkrais Method ® . I can equate almost anything with the growth, learning, and change that occurs when I practice my craft, both as a teacher and as a student. A core part of the practice is moving slowly and gently and then taking rests (this gentle method does not often involve strenuous activity.) During a conversation with Moshe Feldenkrais and Margaret Mead, distinguished neuroscientist Karl Pribram said: “He’s not just pushing muscles around. He’s changing things in the brain itself so that the patient can gradually adjust his whole muscular dysfunction to what we call normal image…Feldenkrais transmits the image, and you organize your brain to meet it.” In our movement lessons, we do a gentle movement and then rest to give our brain a chance to catch up and recalibrate to what just happened. The messages then go far and wide throughout the whole body. The new, novel movements that we have just introduced can now be absorbed through this rest. Thus, change can take place in our brain that will now allow us to use our muscles, bones, and joints differently. How does this apply to my matzah balls, you ask? After moving the ingredients, we allow the mixture to rest; just like the rests we take in our Awareness through Movement® classes. We mix the matzah meal, chicken fat, eggs, salt, pepper, and broth. None of these flavors dominates; they complement each other. We mix ingredients and then we let them rest. 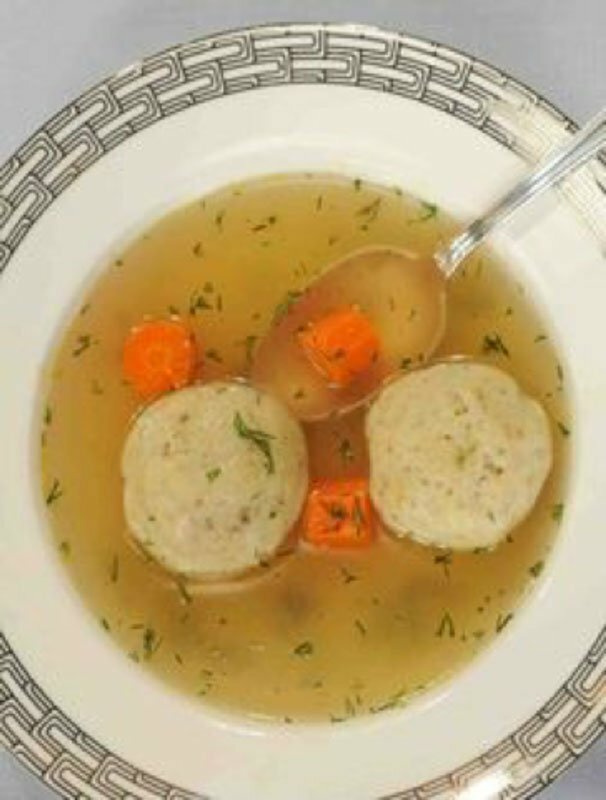 They then congeal and become a lovely, easy-on-the-belly matzah ball. In our classes, we pay attention as we perform small, novel movements slowly and easily. We allow the ingredients of efficient, easy movement and function to congeal. We become the perfect matzah ball. See you in class! Chag Sameach and Happy Easter Season.